Are you so in love with shopping that you have even come up with an idea to create your own online-store? We can say that it’s a completely wonderful idea. What is more, we can even help you with its implementation in life. For the reason that online-shopping turns out to be more and more popular these days, you may have a pretty big number of competitors. All of them want to get their fame and reputation. , You should build a visually-attractive and feature-rich website in order to stand out from the crowd of ordinary and identical online-shops. In general, you should build a website that will not give a chance for others to win this battle. 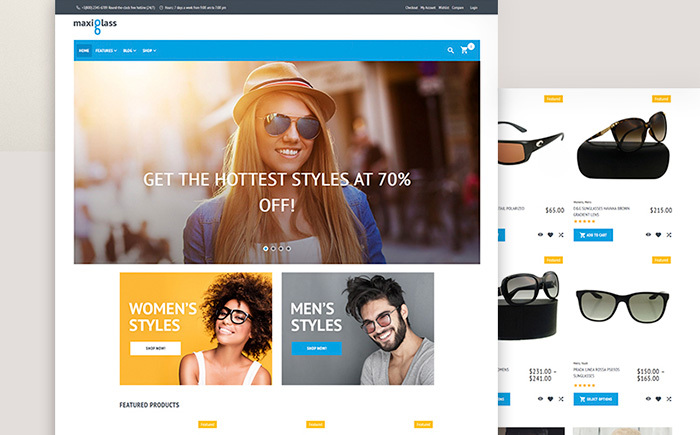 In this article, you will find 15 best-selling WooCommerce themes for multiple niches. By the way, you may be interested why WooCommerce became one of the most popular platforms for building online-store. Let us explain some reasons for it to be so widely-used! Why Does WooCommerce Is So Popular These Days? First of all, WooCommerce impresses its users with a simplicity. Those people, who already have their websites powered with WordPress, can easily implement WooCommerce in their online-project. 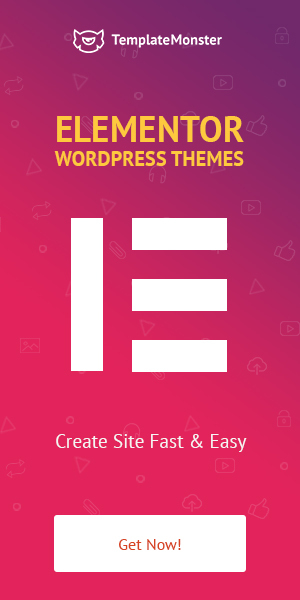 You can get a large set of robust plugins and themes for WooCommerce on the web. In such a way, your online-store will turn out to be unique and professionally-looking. It will take you almost nothing to use WooCommerce. It’s considered to be an extremely affordable platform for those people who only start their online-business. Together with WooCommerce, you will get positive results in a flash. Moreover, it will allow you to generate a revenue at a fast clip. 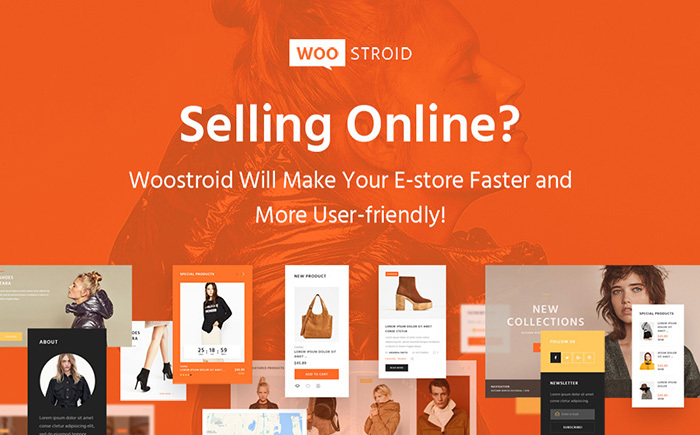 Woostroid is a bright template that will make your online-store more attractive, user-friendly, and exciting for your core audience. Its wide range of functions will make it possible to stand out from the crowd of your competitors and be on the top together with your services. A stunning WooCommerce package, a marvelous Cherry Search, wishlist and compare features, multiple Ajax filters, and other robust elements – all of them will definitely catch the eye of your customers. MaxiGlass is a marvelous template that will present your eyeglasses online-store in the best possible light on the Internet. Together with multiple stylish pages, it will take you nothing to share information on your assortment and its high-quality in a modern way. Furthermore, with the help of the robust mega-menu plugin, you will be ready to divide your goods into different categories. 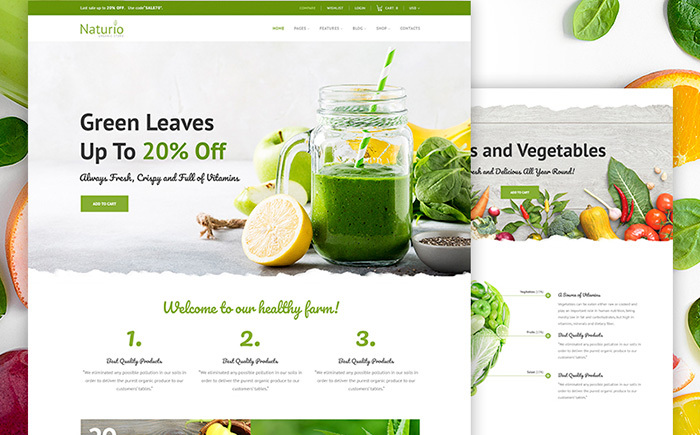 A stunning theme that comes together with a wonderful design (made in white and green hues), modern typography, and excellent content-positioning. With the help of compare & wishlist functionality, your visitors will be able to choose their perfect item within minutes. Moreover, they will be also ready to log in by means of their social networks thanks to a powerful WordPress Social Login. 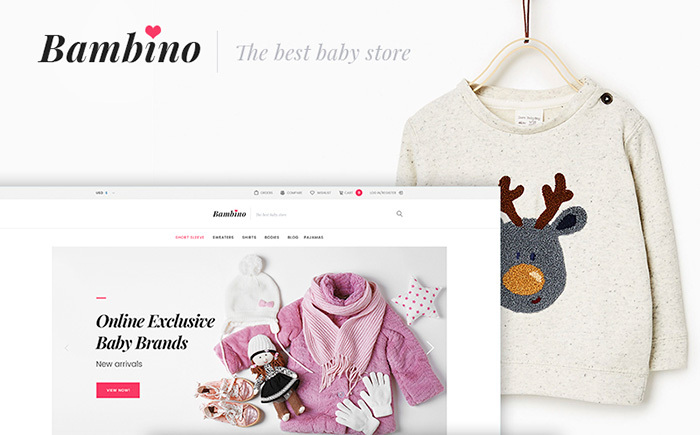 Bambino is an elegant template that will assist you in presenting different baby brands on the web at their best. A user-friendly WordPress Live Customizer will allow you to work with fonts and colors and thus, make your online-store represent your individuality and style. 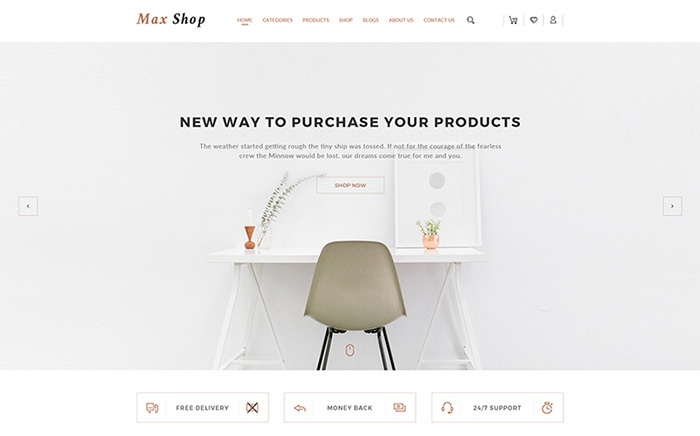 In order to let your customers find the needed goods very quickly, this theme also includes an incredible Ajax Filter. Get your customers a chance to feel like Alice in Wonderland together with this magic template! An attractive mix of colors (white, blue, and pink ones) will certainly make people think about their childhood and its happiness. 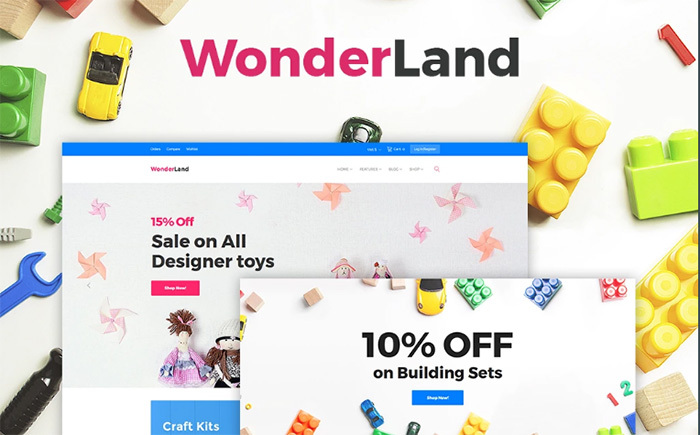 Furthermore, a fully-loaded WooCommerce package, a stunning Cherry PopUps plugins, eye-catching additional pages, and incredible bonus images will make your website even more bright. 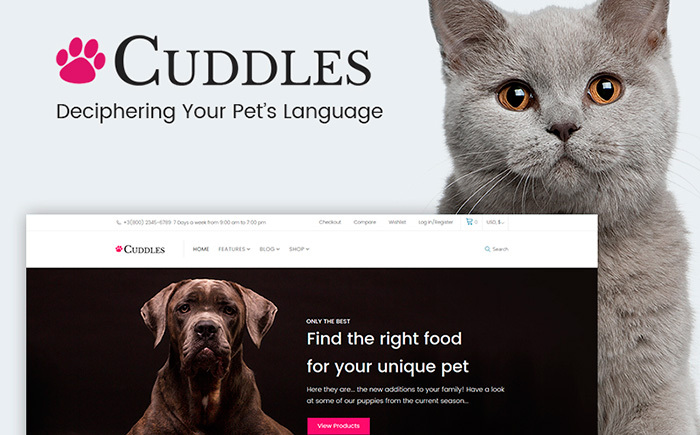 If you dream about a top-notch website that will promote your online pet-store on the Internet, you should certainly take a look at this tender template. With the help of the eye-catching product carousel widget, you will be ready to present your assortment and bring it to the notice of your visitors. 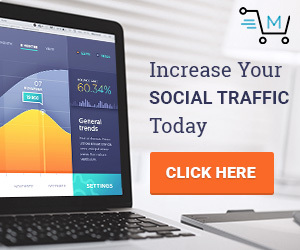 In addition to this, you will get a huge pack of different plugins that will make your website more powerful and reliable. An exceptional theme that will impress not only connoisseurs of liquors but also connoisseurs of stunning designs. By means of outstanding collection of additional pages, you will get the opportunity to tell all possible details about your assortment of liquors and their unmatched taste. By the way, you don’t need to look for topical images because you will get them together with this premium template. 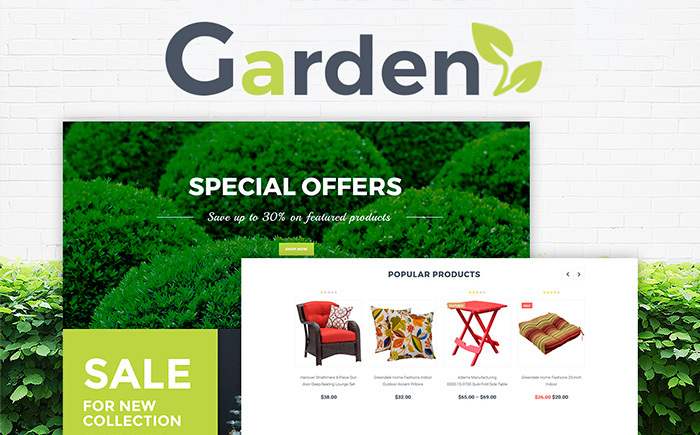 If you are an owner of the garden center, you should probably think about its promoting on the Internet. A powerful newsletter pop-up will allow you to catch the attention of your target audience within seconds. Moreover, a fully-functional mega-menu and live search will make it possible for people to not look through the whole website but find the needed items very quickly. 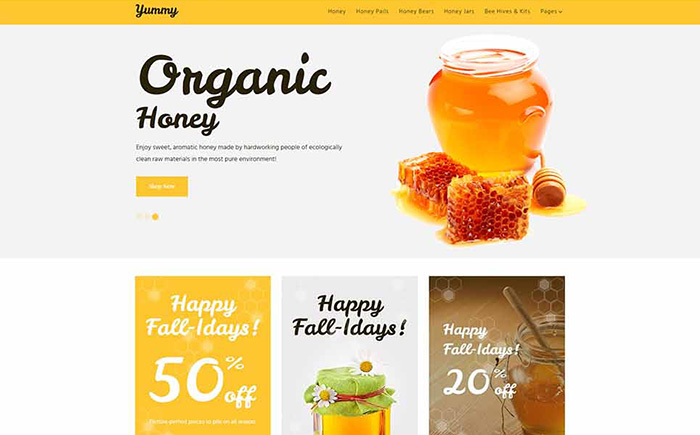 This delicious template will definitely assure your potential customers of the fact that your honey is one of the most fragrant and tasty in the world. With the help of the marvelous drag-and-drop builder, you will get a wonderful chance to build pages in a hassle-free way. 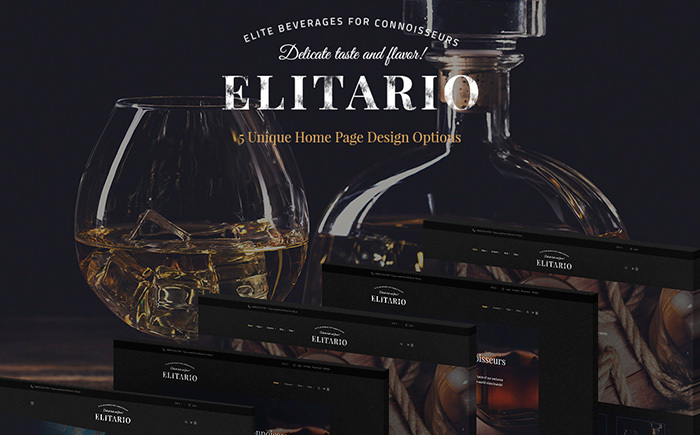 In addition to this, you will get multiple Google Fonts and bonus images that will make your online-store look extremely fresh and eye-catching. A brand new theme that has all essential options to sell your products online and capture everyone’s attention without any troubles. A fully-fledged Revolution Slider will assist you in presenting your content in an out-of-the-ordinary way, while various custom widgets will definitely enrich your website. Besides, people will be ready to leave a feedback on your products or ask you some questions thanks to an amazing contact form. 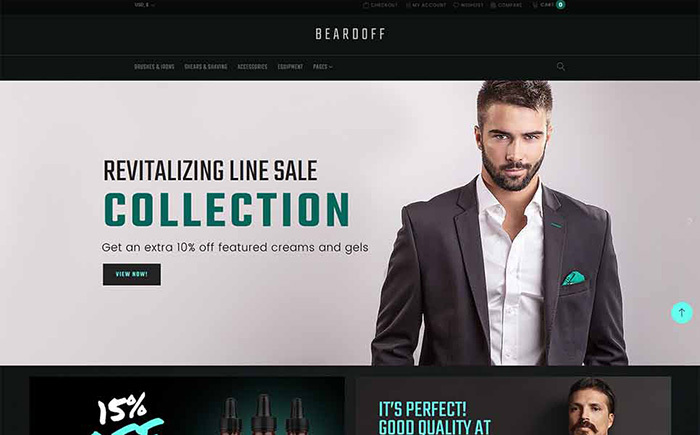 Beardoff is a stylish template that will make it possible to present various shaving products in an elegant way. Different layout options will assist you in playing around with your design and making it more eye-catching, while multiple content modules will help you to add buttons, images, and contact forms to your website. Don’t forget to use perfect topical images to take a leadership among your competitors. 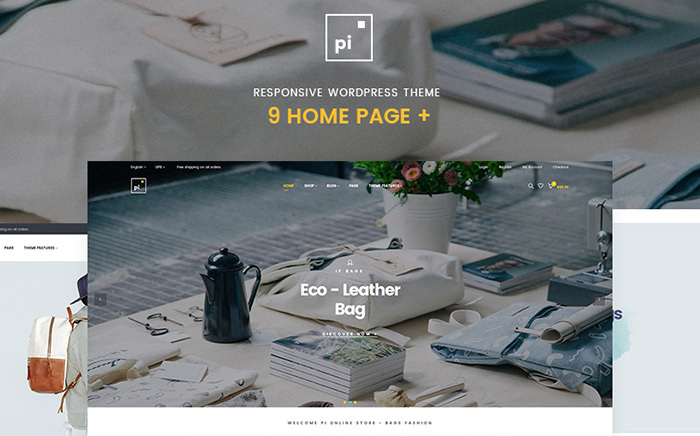 Pi is a trend-perfect template that can be called a perfect variant for all possible niches that you can come up with. It comes equipped with various homepage layouts that will allow fashion, jewelry, and accessories to be represented in the best possible light. Moreover, with the help of the robust mega-menu, Quick View Product, and Product Filter, your customers will absolutely satisfied with their process of shopping. 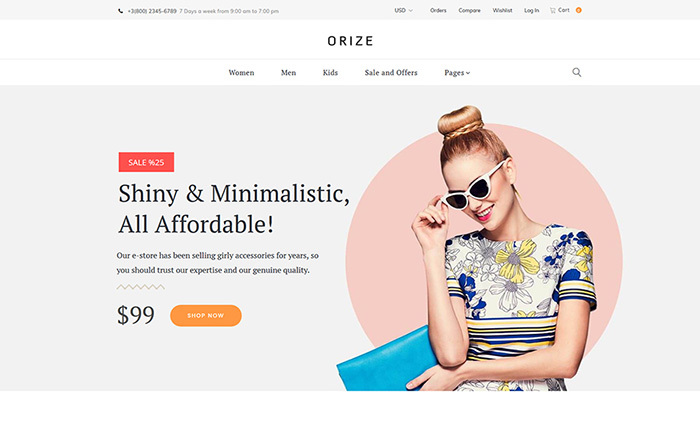 Orize is a modern and remarkable theme. It will assist you in presenting accessories on the web and make others trust in your professionalism and taste. A minimalist design (that can be easily altered by means of the feature-rich drag-and-drop builder) will certainly impress your customers. Furthermore, you will get an ultimate WooCommerce package that includes such options as a product carousel and categories widget. It also has advanced banner grid management and other functional tricks. 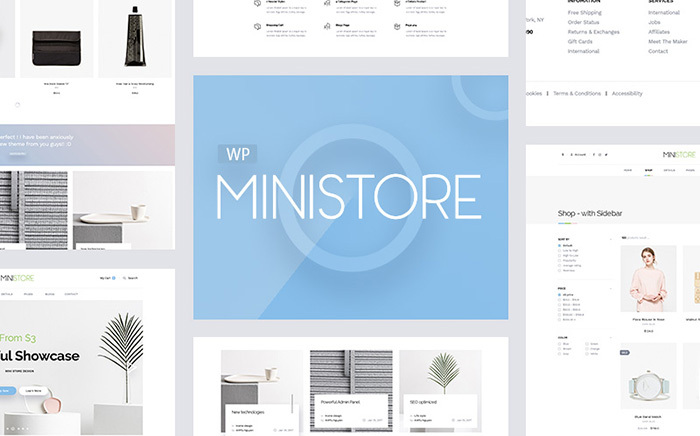 Ministore is a nifty template that will impress your imagination with its unusual design and outstanding set of useful options. With the help of the marvelous Revolution Slider, you will get a vast number of eye-catching ways to showcase your content. 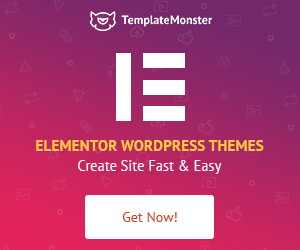 In addition to this, you will get different plugins that will freshen your theme up with some additional functionality. 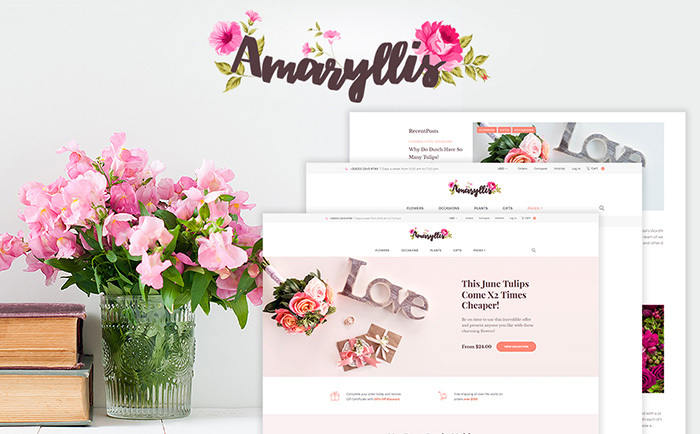 Amaryllis is a soft and clean theme that has a wonderful design made in a mixture of pinkish colors and impressive handwritten typography. By means of the universal pack of Cherry Plugins (Testimonials, Team Members, Sidebars, Projects, and others), it will take you nothing to present different aspects of your business. By the way, there are such widgets as a post carousel, simple slider or social media widgets. They will impress your customers and make them admire your online-store. Are you intrigued to build your future online-store (or freshen up your existing one) by means of these marvelous templates? Hopefully, something has already captured your attention. Believe us, other people will admire your online-shop, too. For this reason, don’t hang around and grab one of these stunning themes here and now. We wish you more and more satisfied customers and thanks for reading!